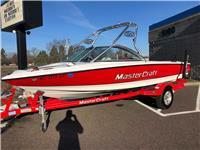 Stock #169550 - Excellent Mastercraft 197 Prostar with Zero Off GPS Speed Control!If you are in the market for a ski/wakeboard boat, look no further than this 2008 Mastercraft ProStar 197, just reduced to $27,990 (offers encouraged).This boat is located in Milton, Florida and is in great condition. She is also equipped with a Indmar engine that has 722 hours.We are looking for people all over the country who share our love for boats. If you have a passion for our product and like the idea of working from home, please visit SellBoatsAndRVs [dot] com to learn more.This listing has now been on the market a couple months. Please submit any and all offers today!Reason for selling is buying another one.At POP Yachts, we will always provide you with a TRUE representation of every vessel we market. We encourage all buyers to schedule a survey for an independent analysis. Any offer to purchase is ALWAYS subject to satisfactory survey results. 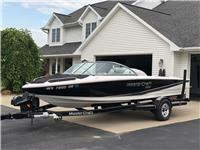 I am interested in your 2008 Mastercraft ProStar 197 and would like more information. Please let me know. Thank you!